It’s finally out, the Exchange 2010 Architecture Poster, and it’s rather pretty if I say so myself. Each role is drawn out in detail as well as an overall high level architecture putting it all together. Management and HA are also present and all in all it’s a GREAT poster. 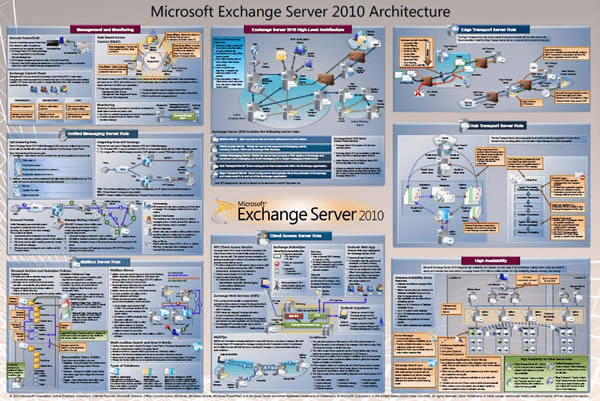 You can find the download here: Exchange Server 2010 Architecture Poster .